Union Tank Car Company agreed this week to remove its stored tank cars from unused railroad tracks in the Forest Preserve. The following are press releases from the Adirondack Council and Governor Andrew Cuomo’s office praising the move. 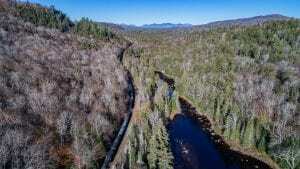 MINERVA, N.Y. – The Adirondack Council offered its thanks to Berkshire Hathaway CEO Warren Buffett, whose subsidiary Union Tank Car Company agreed Tuesday to remove its 65 derelict oil tank rail cars from the Adirondack Forest Preserve. “We are very pleased that Berkshire Hathaway’s Union Tank Car Company responded to requests from Governor Andrew Cuomo and the Adirondack Council to overrule the rail road company it was paying to store these cars,” said William C. Janeway, Executive Director of the Adirondack Council, an environmental organization whose members wrote more than 1,000 letters to Buffett since the end of November. “The rail road wouldn’t remove the cars, but Berkshire Hathaway will. Its subsidiary, Union Tank Car, said it would remove the cars by the middle of January and find a more appropriate location. For that, we are very grateful. Iowa Pacific Holdings LLC of Chicago, refused to stop storing derelict oil tank cars in the Adirondacks when urged by Gov. Andrew Cuomo. Instead, it had demanded millions of dollars to remove them and to give up any remaining rights it might have to the line. Last week, the Council praised Governor Cuomo and Attorney General Eric Schneiderman, when the state issued a cease-and-desist order to IHP and filed an initial petition with the federal Surface Transportation Board. While Union Tank Car has announced it will remove its cars from IHP’s de facto junkyard, IHP is still storing a dozen or more additional cars on the line that don’t belong to Union Tank Car, Berkshire Hathaway or its other subsidiaries, Procor and Marmon. Janeway said the removal of remaining rail cars was necessary and would complement efforts by the state and other stakeholders to chart a more appropriate future for the rail corridor. New York’s Adirondack Park is one of the world’s largest and oldest parks. It protects most of the wilderness and old-growth forest remaining in the Northeast. Its Forest Preserve has been protected as “forever wild” by the state Constitution since 1894. Although it is owned and administered by New York State, the entire 2.7-million-acre Adirondack Forest Preserve is further protected as a National Landmark. The controversial junkyard was being assembled on a railroad that leads from the ski resort hamlet of North Creek to an early-19th Century iron mine 22 miles into the forest. The railroad terminates between the Hudson and Opalescent rivers at the old Tahawus mine, on the edge of the park’s famous High Peaks Wilderness Area. Several miles of the railroad cross the Forest Preserve. The tracks also cross the Upper Hudson River, and run along the Boreas River, both of which are protected as “Scenic” under the NYS Wild, Scenic and Recreational Rivers Program. Tahawus’s iron mines were among the first in America, but failed due to impurities (ilmenite) in the ore. A century later, as World War II began, the federal government realized ilmenite was needed for the construction of titanium-alloy war ships and airplanes. It seized a temporary right-of-way for rail access to the mines to secure strategic materials needed for the war. New York objected, but chose not to challenge the seizure in court. The rights to use the line were set to expire after the war ended. Instead, the rights were extended until 2063. Today, Iowa Pacific Holdings LLC of Chicago (IPH) claims it is leasing the rights to use the line. Those rights, if any, could be extinguished if the State succeeds in an adverse abandonment proceeding initiated with the Federal Surface Transportation Board. IPH says the tanker junkyard qualifies as a railroad operation. Its president Ed Ellis told the local media he plans to store as many as 2,500 tanker cars on the railroad. At 58-feet-long, 2,000 tankers would occupy 21.96 miles of track. Local residents, officials and conservationists say that would be a linear junkyard, not a railroad. They want the 60-plus cars already stored there removed. Gov. Andrew Cuomo has expressed his opposition to the oil tanker junkyard and said the state would do whatever it could to stop it. Town and county officials have also expressed their opposition. Janeway said a wall of rusty rail cars would create a barrier to wildlife, imperil water quality and undermine the state’s efforts to promote this region as a wilderness recreation destination. New York has spent tens of millions of dollars acquiring new Forest Preserve in this portion of the Adirondacks over the past 20 years. 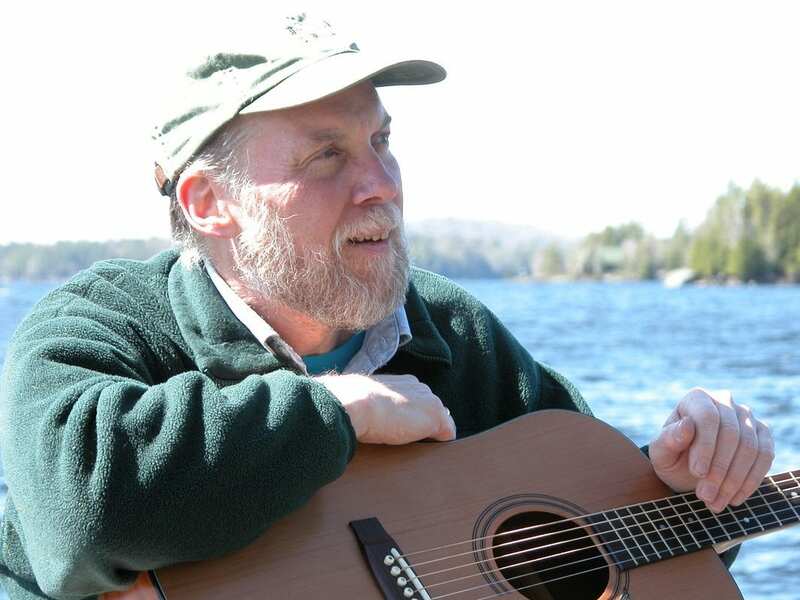 The controversy has been featured in national media outlets and has even inspired the release of an original protest song entitled Junkyard Express, by renowned Adirondack folk singer Dan Berggren. In general, railroads are governed by federal transportation law. However, the federal Surface Transportation Board has allowed states to enforce environmental regulations that are stricter than federal law as long as the action doesn’t prevent the lawful operation of a railroad or interfere with interstate commerce, Janeway explained. The Adirondack Council hired and is still retaining special attorneys in Albany and Washington, D.C. to secure legal remedies to the junkyard, which the organization says is illegal under state and federal law. It is also working with state officials to urge IPH to remove the junkyard. The Council and local residents had supported IPH’s previous plans to run a scenic passenger railroad and to haul mine tailings from the former mine site. But the company has failed in those businesses. It is instead renting space on the line to companies that pay to park derelict tankers until they can be refitted, repurposed or scrapped. Many stored there now are the unsafe DOT-111 models that destroyed most of Lac Megantic, Que. when they derailed in 2014, killing 47 people. The Council carries out its mission through research, education, advocacy and legal action. Adirondack Council members live in all 50 United States. “The Adirondack Park is one of New York’s great natural jewels and a driver of the North Country’s economy, and never should have been used as a glorified junk yard. 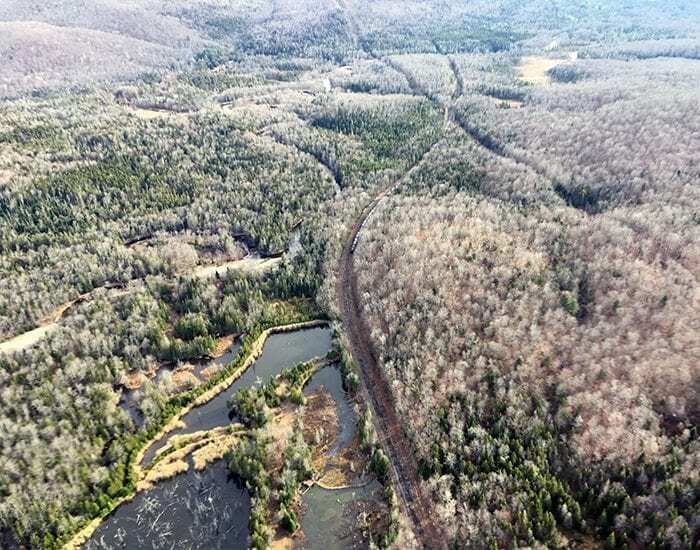 The Berkshire Hathaway’s Union Tank Car Company ultimately did the right thing by heeding our call to remove these eyesores from the Adirondack Park. “In the wake of this important victory for New Yorkers, it is imperative that the Iowa Pacific Co. halt their plan to store thousands of railcars once and for all. This administration has already called on them to cease and desist storing any future railcars on the Tahawus Branch.